In the latest issue of the BVSF quarterly magazine, an article was placed relating to TNT and a recent reduction in costs and their service levels. This article resulted in a letter from a member which is printed in its entirety elsewhere in this issue. A meeting has been held with TNT Senior Management and they accept that their service levels have dropped below that which should be accepted and they have allegedly taken steps to rectify this. The Senior Manager wishes to send his apologies to any BVSF Member that has found in recent months that the previously high Standards of TNT have slipped. Particularly in the light of the above a second carrier was sought and found. 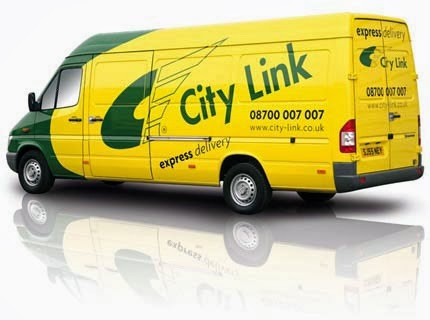 This second carrier is City Link and they are now being used by a good number of BVSF members. The negotiated costs appear very competitive and to date, no complaints have been received. A spread sheet of charges was despatched to the membership some weeks ago but if, as a member, you are interested in using City Link and have not received or seen the scale of charges then please make contact with the BVSF office in the usual way on 01303 814325 or email@bvsf.org.uk so that you may be introduced to our Account Manager.